You may have heard the news that I have a new gluten free ebook Going Gluten Free Permanently released today. Well the good news just keeps coming! To celebrate the release of my eBook, I am teaming up with some of the leading gluten free brands and suppliers to run several giveaway competitions and offer special discounts for friends of The Food Werewolf. To kick things off, I have a gluten free hamper chock full of awesome Pureharvest goodies to giveaway! Hooray! Yes folks! To coincide with the release of my new eBook, the fabulous folks at Pureharvest have put together an awesome hamper full of their gluten free goodies valued at $100 for me to giveaway to one lucky TFW subscriber. The Pureharvest hamper will include a range of their milks, sweeteners, grains, oils and more and they’re all gluten free of course! Yummo! To enter the competition, simply click here to subscribe to my newsletter and then tell me what you/your family find to be the hardest about going gluten free. You can leave your entry comment either at the bottom of this blog, or head to The Food Werewolf Facebook page here. 1. This is a game of skill. Entry is via comment on what you/your family find to be the hardest about going gluten free. 2. An entrants comment is to be made on this blog post on The Food Werewolf website or on The Food Werewolf Facebook page. 4. The winner of the giveaway will be chosen by Loren Waller based on the most interesting answer. 5. This giveaway is open to all The Food Werewolf newsletter subscribers in Australia. Subscription to The Food Werewolf Newsletter is free and can be done by clicking here. 6. This giveaway is hosted by Loren Waller via the The Food Werewolf blog at http://thefoodwerewolf.com/blog/. 7. First prize consists of one Gluten Free Food Hamper RRP $100.00 from Pureharvest. 8. The giveaway opens on 10am AEST Monday 20th April 2015 and closes midnight AEST on Sunday 26th April 2015. 9. The giveaway winner will be announced on The Food Werewolf website blog and Facebook page on Monday 27th April 2015 and notified by email. If no reply by midnight 28th April, a runner-up will be chosen to receive the prize. 10. The prize will be sent directly from Pureharvest to the winner’s nominated address. 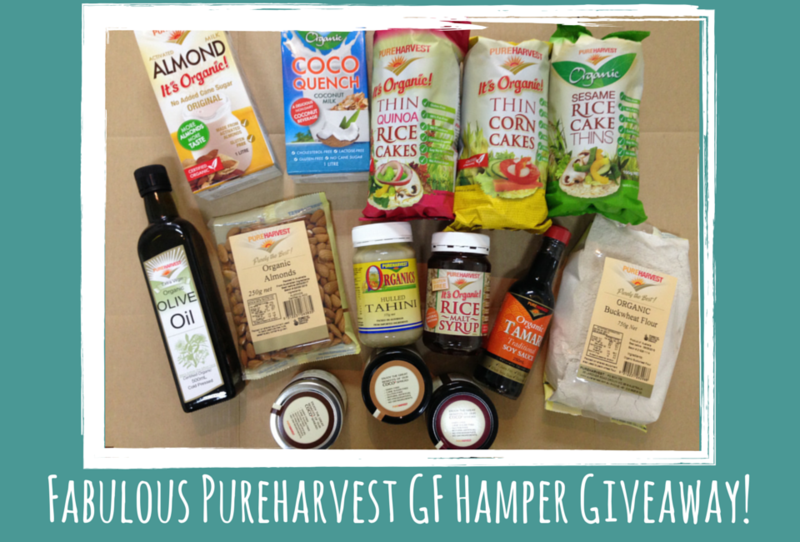 So who wants to win an awesome hamper of gluten free goodies from Pureharvest? Remember to click here to subscribe to my free newsletter before entering your comment for your chance to win this fabulous Pureharvest gluten free hamper. 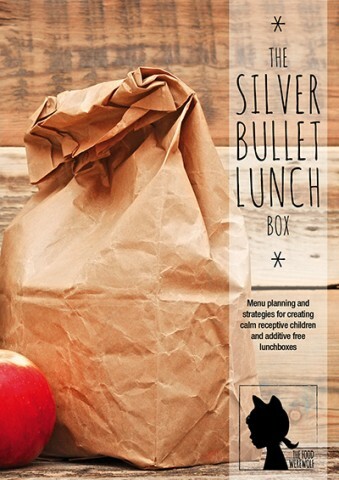 As an added gift, all entrants will receive a free copy of my mini ebook, The Silver Bullet Lunchbox when they subscribe to The Food Werewolf Newsletter. Everyone’s a winner! Good luck and thank you for entering The Food Werewolf Pureharvest Gluten Free Hamper Giveaway Competition. PS Want to know more about my new eBook Going Gluten Free Permanently? Click here to learn more! This competition is now closed. Congratulations to Vanessa Luu – the winner of a fabulous Pureharvest Gluten Free Hamper! Yes – that is certainly a hard one Vanessa! And because gluten intolerance is a cumulative thing, you can sometimes have a little of something and be ok, but then as it builds up, the effects multiply and start to show more… which is why we found it much easier to eliminate all gluten I added the hidden gluten tips and product recommendations into my ebook to help with the confusion you are feeling. Thanks for sharing Vanessa! Thank you Loren, for that advice about the cumulative effect of gluten intolerance! I have recently tried re-introducing gluten to my diet (in the form of organic wholegrain bread), and found that it was okay. But after a few days, I didn’t feel too well! I am so glad to have come across your blog – it will definitely help me find and explore more yummy gluten-free alternatives! P.S. Sorry for my late reply! I didn’t receive notification of your response, although I did check the boxes underneath for notification of responses!